“Today, as we await the State of the Union Address from President Trump and the Democratic response from former Minority Leader of the Georgia General Assembly, Stacey Abrams, the simple truth is that our country is in desperate need of unity and healing. It is thus fitting that today, February 5th, is also Lunar New Year, a cultural celebration observed by many Asian Americans that calls for renewal and the strengthening of the bonds that unite us. While all Asian American Pacific Islanders do not necessarily observe this celebration, many do; and both President Trump and Leader Abrams have a unique opportunity to bring people together by embracing a multicultural America. 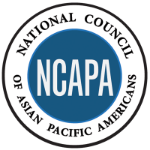 Based in Washington, D.C., the National Council of Asian Pacific Americans is a coalition of 33 national Asian Pacific American organizations that serves to represent the interests of Asian American and Pacific Islander (AAPI) communities and to provide a national voice for our communities’ concerns. Our communities are the fastest growing racial/ethnic group in the United States, currently making up approximately six percent of the population.